If you want to install more then one MT4 terminal from the same broker you will need to choose different [Installation folder]. 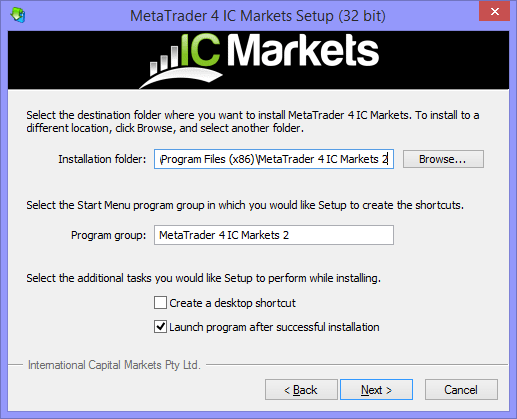 In the example above we are installing second MT4 IC Markets terminal onto [C:\Program Files (x86)\MetaTrader 4 IC Markets 2] (note  at the end). You can also choose another [Program group] name. In our example we also just added  to the name.